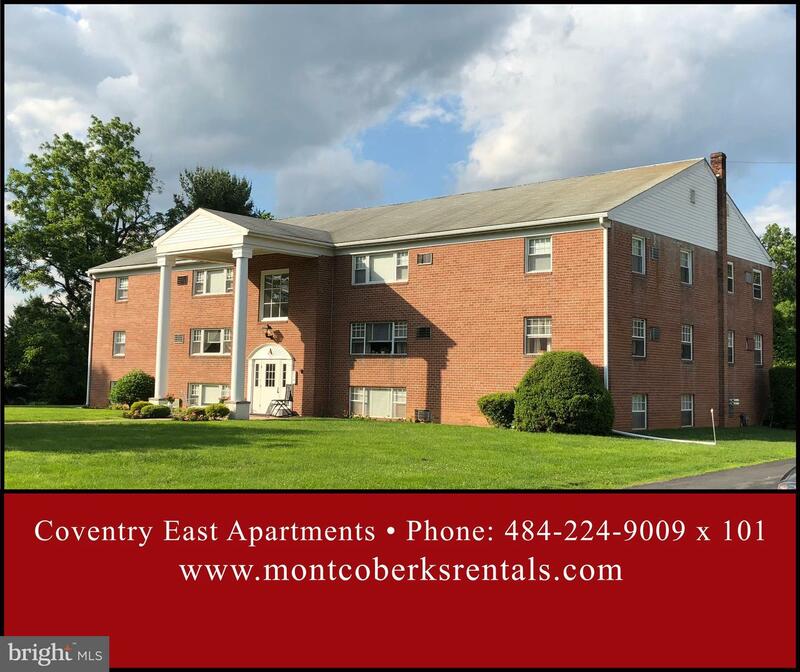 Spacious & quiet 2 bedroom, 1 1/2 bath - 3rd-floor pet-free and smoke-free apartment in the sought after Coventry East Apartments located in the Owen J. Roberts School District will be available in Mid-April. This apartment has a custom kithcen, with extra cabinets!~Apartment has been freshly painted and will have new wall to wall carpet installed. There is coin-operated laundry in the building, as well as extra storage in the basement area. Interior photos to be posted as renovations are completed. Rental application is 35.00 per applicant.